The "head waters" (such as they are) of Cheong-gye-cheon. Cheong-gye-cheon is an artificial river/park through the heart of Seoul. 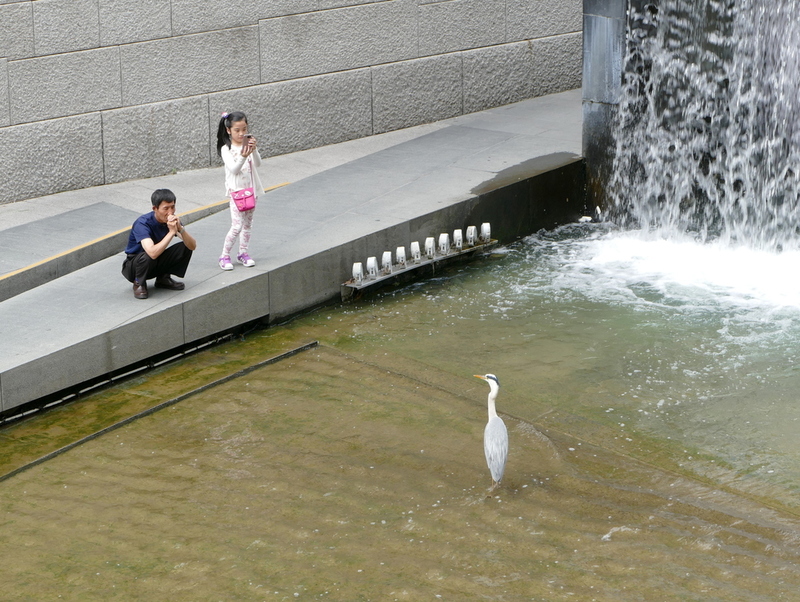 I loved it, and getting to see a Grey Heron in the heart of the city was wonderful.